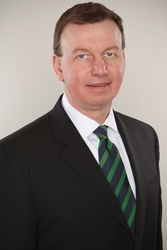 John E. Marquis is a partner in the Yardley, Pa. office of Hill Wallack LLP. He is a member of the Workers’ Compensation practice group. Mr. Marquis represents commercial insureds in all aspects of workers’ compensation defense, including trial work and appellate advocacy. In addition to litigating claims, he assists his clients in developing best practices to prevent and mitigate liability, successfully defend unwarranted claims and to reach favorable resolutions when necessary. Mr. Marquis is admitted to practice in Pennsylvania (1987). He earned his J.D. from Temple University School of Law and his B.S. from St. Joseph’s University in Food Marketing. Mr. Marquis' client base includes large corporations in aeronautics manufacturing, defense contractors, health care, behavioral health, in-home care, retail, waste disposal, maintenance and transportation. Mr. Marquis teaches continuing legal education classes to attorneys and regularly presents seminars to clients on current issues and topics in his areas of expertise.